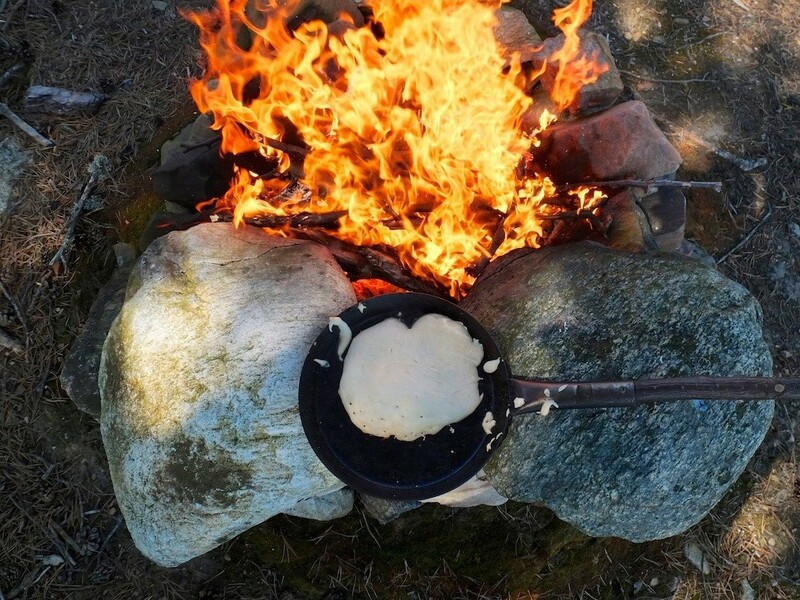 Outdoor cooking is one of the best things to do to enjoy nature and attract children in outdoor life. 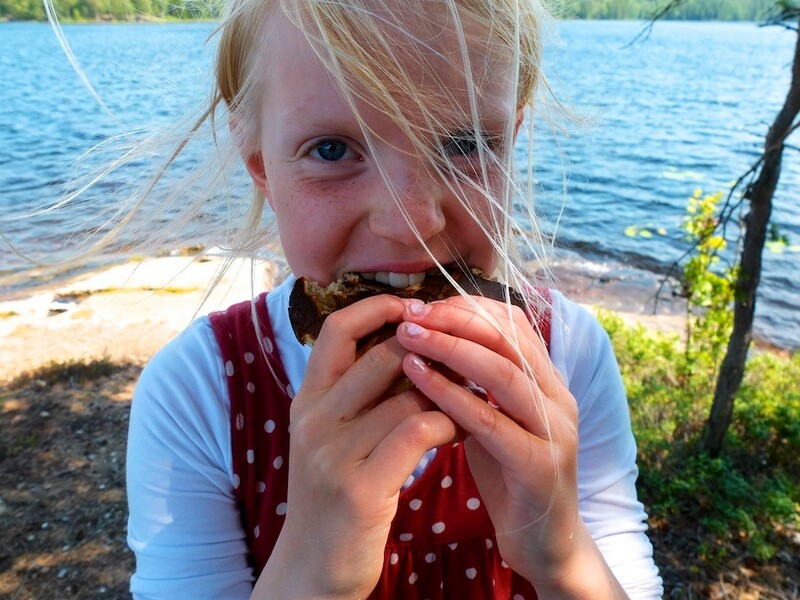 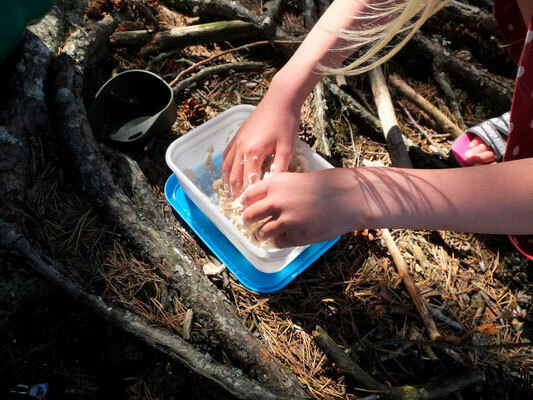 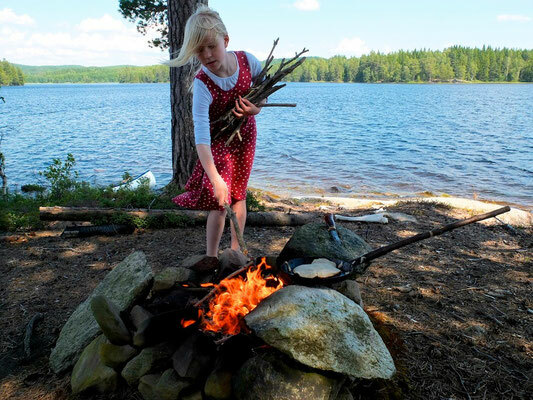 Making bread on a fire on the so called "Dead Moose Island" on Limmen Lake (Dalsland, Sweden) was a great experience to share with my daughter. 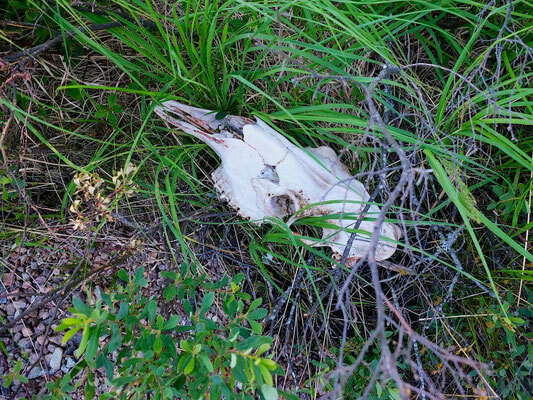 The "Dead Moose Island" was called when a summer night, we found the remains of a dead moose on the tiny island where we used to camp. 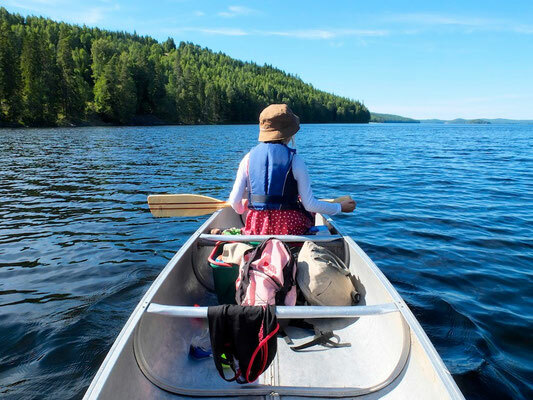 The island is not that far away from the shore, but still, it's quiet an adventure to load the packs on the canoe and leave for a afternoon or a week-end. 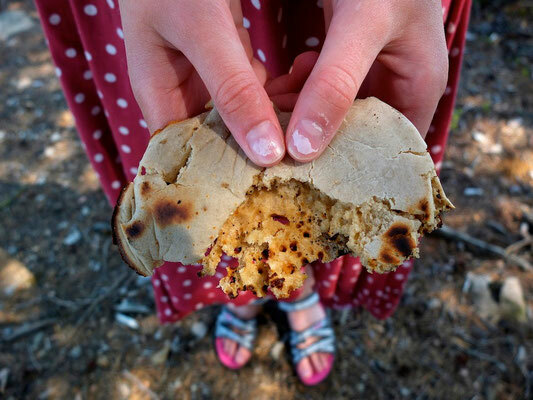 On a stormy day, we decide to bake bread on a fire on "our" island: flour, honey, baking powder, matches and a girl scout ready for adventure.